Bluegill – Fair: As water continues to warm, look for bluegill nest colonies along the west and east shorelines; the highest concentration are likely in the southern end of the lake. Use a small tube jig tipped with a piece of crawler. Water temperatures are in the upper 70’s. Water clarity is 5-6 feet. Bluegill – Fair: The bluegill spawn is later than normal, but look for fish to start moving in close to shore again. Use a small hair or tube jig with a small piece of crawler fished under a bobber off the floating fishing pier, the west stone pier, and the inlet bridge. Look for bluegills sitting on nests; you can easily target the males. Walleye – Fair:Try in Town Bay, the shoreline along Ice House Point, and near the inlet bridge. Use leeches fished under a bobber and twisters on the downwind shoreline where walleye are feeding. Black Crappie – Slow: A few have been picked up from Ice House Point, the floating dock, the stone piers and the inlet bridge. Catch fish up to 11 inches with crawlers and leeches fished under a bobber. Look for post-spawn crappie out deeper. Largemouth Bass – Good: Catch largemouth all over the lake using traditional bass lures. Many anglers have found good bass action at the Ice House Point, the east shoreline,and the lake side of the inlet bridge. There is a 15 inch minimum length limit on largemouth bass in Black Hawk Lake. There is a 15 inch minimum length limit on largemouth bass in Brushy Creek Lake, and a 40 inch minimum length limit for Musky. Walleye – Good: Use minnows, leaches and twisters in 5-15 feet of water. Black Crappie – Fair: Try minnows on a jig in 10-20 feet of water. Some males are being caught near shore, so look for the fishing close to shore to improve over the next week. Yellow Perch – Fair: Fish along the vegetation to find the perch. Largemouth Bass – Good: Catch bass along weed lines near shore just about anywhere with traditional bass lures. There is a 15 inch minimum length limit on largemouth bass in Brushy Creek Lake. Muskellunge – Fair: There is a 40 inch minimum length limit for musky on Brushy Creek Lake. Bluegill – Slow: Bluegill are still pre-spawn. Look for bluegill fishing to improve near shore as water continues to warm. Bluegill – Fair: Catch bluegill near shore using a small jig tipped with bait fished under a bobber. Look for males guarding nests near shore. Fish are 6-8 inches. Water clarity is 3-4 feet. Storm Lake has a daily limit of 3 walleye and all 17- to 22-inch walleye must be released; no more than one walleye longer than 22 inches may be taken per day. Walleye – Fair: Much of the walleye action has shifted to the boat anglers. Boat anglers are doing well trolling shad raps or ripple shads or drifting crawler harnesses on the edges of the dredge cuts around the lake in about 8 feet of water. Black Crappie – Fair: Anglers are picking up suspended crappie out mid-lake in the dredge cuts while fishing for walleye. White Bass – Fair: Use crankbaits; most action has been from boat while fishing dredge cuts. Water temperature is around 80 degrees. Water clarity is 3 feet. Bluegill – Fair: Use a small jig tipped with crawler along the dam and off the jetties. Most of the fish are 6-7 inches. Look for fish to move closer to shore and the males sitting on nests. Bluegill – Fair: Find bluegill spawning in the arm north of the swim beach and in the coves along the south shore. Yellow Smoke is known for its big bluegill consistently reaching 9 inches or more. Surface water temperature is 74 degrees. Black Crappie – Fair: Crappies are biting. Use a small jig or a minnow in the rush beds and areas with vegetation. Walleye – Good: Try a slip bobber and leeches fished in the rocky reefs. Yellow Bass – Fair: Yellows bass have moved off the shallow rocky areas and are out in deeper water. Use a small jig with a minnow or cut bait in the early morning. Channel Catfish – Fair: With recent rains, any spot where water is entering the lake is worth trying for catfish. Fish a dead chub or crawlers on the bottom. The best bite is late evening. Muskellunge – Fair. Bluegill – Fair: Bluegill are biting. Use a small piece of crawler and a bobber in 2 to 3 feet of water. Black Crappie – Fair: Crappie are biting. Use a small minnow and a bobber in 3 to 6 feet of water. Largemouth Bass – Good: Largemouth bass are biting on a variety of baits. Bluegill – Fair. Largemouth Bass – Fair: Bass are biting on plastic baits. Bluegill – Fair: Use a small piece of crawler and a bobber in the edge of the vegetation. Largemouth Bass – Good: Largemouth bass are biting on plastic baits. Bluegill – Fair: Use a small piece of crawler and a bobber in 2 to 3 feet of water. Black Crappie – Fair: Cast mini jigs in shallow water wood habitat. Channel Catfish – Good: Use traditional baits in the evening. Black Crappie – Fair: Anglers report a panfish bite of bluegill and crappie in shallow water; best bite during early evening hours. Walleye – Good: Report of anglers catching fish from the south end; best bite during the evening hours. Channel Catfish – Good: Use traditional baits during evening hours. Walleye – Fair: Action is picking up with lots of angler acceptable size and larger being caught. Bluegill – Good: Recent surveys show good numbers of large angler size fish in the lake. Walleye – Good: Report of a walleye bite at Lost Island Lake. Yellow Bass – Good: Report of yellow bass being caught. Use small lures such as a twister tail or hair jigs. Walleye – Good: Troll crank baits when there is a good walleye chop on the lake. Marble Beach campground, including the boat ramp, is closed for the season for renovation. Smallmouth Bass – Good: Use a jig tipped with a minnow in shallow rock structures. Action is best during sunny, calm days. Black Crappie – Good: Fish the bulrush on the lake for spawning crappie. Cast a mini-jig and swim the bait slowly back to the boat to find active fish. Walleye – Good: Best action is during the night off the docks. Fish leeches under a bobber or cast a twister tail. Cast crankbaits or a jig and minnows in emerging weed beds. Bluegill – Good: Wooden docks in deeper water and new aquatic growth will produce good numbers of angler acceptable sized fish. Ocheyedan, Iowa — A state senator who left the Republican Party in 2016 to protest Donald Trump being the GOP’s presidential nominee has ended his bid for reelection in November. 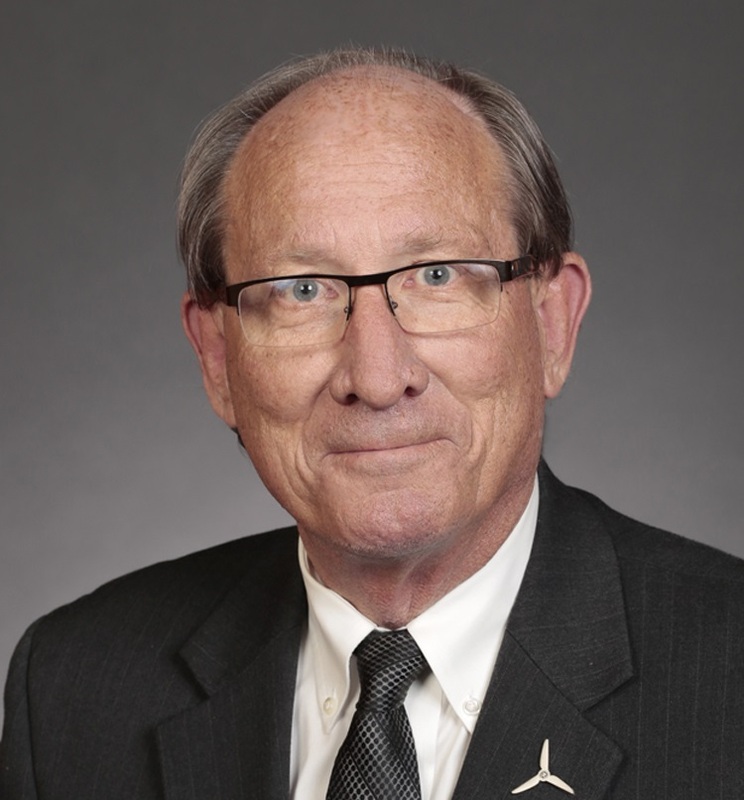 David Johnson of Ocheyedan was the only independent in the state legislature for the past two years. Johnson announced in December he would run as an independent and seek another term in the senate. Three Republicans are running in Tuesday’s Primary for Johnson’s spot in the state senate. He’s been a legislator for nearly two decades but, as an independent, he faced a tough run for another senate term in the northwest Iowa district where Republicans far outnumber both independents and Democrats. Johnson had a long history in the Republican Party before he left it nearly two years ago. His father was a Republican candidate for governor in 1968. Johnson hints he’ll be back at the statehouse next year. There are more than 20-thousand Republicans, about 13-thousand independents and 73-hundred Democrats in the district Johnson has represented. There is no Democratic candidate in the Senate District One, but a Democrat could be nominated by convention before the ballot deadline in August. Ocheyedan, Iowa — Iowa Senator David Johnson will not seek reelection this fall, according to published reports. In 2016, Johnson, who was a Republican at that time, resigned from the Republican party when Donald Trump became the presumptive Republican Presidential nomination. At that time, Johnson changed his registration from Republican to Independent. Since resigning from the Republican party, Johnson has had difficulties landing committee slots. Coincidentally, Johnson’s Senate District is the single most Republican district in the state. He serves the 1st District, which is comprised of Lyon, Osceola, Dickinson, Clay, and Palo Alto counties. Three Republicans will have their names on the ballot for this coming Tuesday’s pimary election for Senate District 1, the seat currently held by Johnson. They are: Jesse Wolfe, of Emmetsburg; Zach Whiting, of Spirit Lake; and Brad Price, of Spirit Lake. KIWA has reached out to Senator Johnson for comment, and will bring his comments to you once he returns our call. Northwest Iowa — Memorial Day will be observed in the United States on Monday, May 28th. Originally called “Decoration Day”, and celebrated on May 30th, the day was created to honor Civil War dead. It has since been expanded to honor all veterans who have died in service to the United States, and Memorial Day is now observed on the last Monday of May. 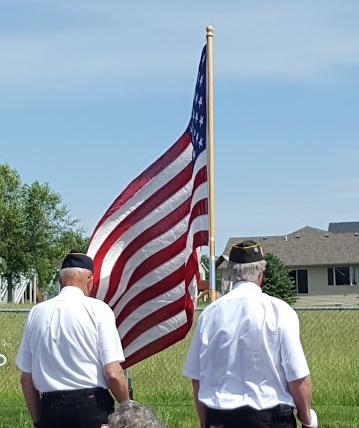 In addition to national observances, many local communities will hold Memorial Day services and events in northwest Iowa. The Ashton Memorial Day events begin with coffee and rolls from 8:30 to 9:30 a.m. at the Ashton Legion Community Center downtown. After that, they’ll have the Memorial Day Service at 9:30, followed by the cemetery service at 10:30. Immediately following the cemetery service, at around 11:00 a.m., they’ll have the Memorial Day Dinner at the Legion Community Center. They’ll serve until around 1 p.m. The meal will consist of pork loin sandwiches, hot dogs, baked beans, potato salad, chips, ice cream, and beverages. In Ocheyedan, their Memorial Day service starts at 9:45 a.m. at the Ocheyedan Township Cemetery. The address will be given by Pastor Bill Vander Heide. After the service, coffee and doughnuts will be available for a freewill donation. If the weather doesn’t cooperate, the service will be in the Ocheyedan Town Hall. The Sibley Memorial Day Service will be at Holman Township Cemetery. It will begin at 11:00 a.m.
Northwest Iowa — Friday marked day two for State Boys Golf in all classes. Harris Lake Park is competing as a team. Individuals not on a qualifying team include Spencer Schorg of Remsen St Mary’s and Keaton Van Roekel of Boyden Hull. Northwest Iowa — The Iowa boys State Golf Tournaments opened a two day run Thursday. The 1A tournament was held at Westwood in Newton. Water temperatures are around 70 degrees. Water clarity is 5-6 feet. Bluegill – Fair: Fish for bluegill just about anywhere along the shoreline. The fish average 7-8 inches. Use a small hair or tube jig with a small piece of crawler fished under a bobber off the floating fishing pier, the west stone pier, and the inlet bridge. Look for bluegills to start moving closer to shore, sitting on nests; you can easily target the males. Walleye – Fair: Anglers are picking up walleye from shore and by boat. Town Bay, the shoreline along Ice House Point, and near the inlet bridge are producing fish. Use leeches fished under a bobber and twisters on the downwind shoreline where walleye are feeding. Black Crappie – Slow: Anglers are still picking up fish from Ice House Point, the floating dock, the stone piers, and the inlet bridge. Catch fish up to 11 inches with crawlers and leeches fished under a bobber. Largemouth Bass – Good: Catch largemouth all over the lake using the traditional bass lures. Many anglers have found good bass action at the Ice House Point, the east shoreline,and the lake side of the inlet bridge. Water temperature is around 70 degrees. Water clarity is 3 feet. Bluegill – Fair: Use a small jig tipped with crawler along the dam and off the jetties. Most of the fish are 6-7 inches. Look for fish to move closer to shore and the males sitting on nests. Surface water temperature is 67 degrees. Black Crappie – Good: Crappies are biting. Use a small jig or a minnow in the rush beds and areas with vegetation. Walleye – Good: Try a slip bobber and leeches fished in the rocky reefs. Yellow Bass – Fair: Yellows bass are on the rocky areas to spawn. Use a small jig in the early morning. Channel Catfish – Fair: With recent rains, any spot where water is entering the lake is worth trying for catfish. Fish a dead chub or crawlers on the bottom. The best bite is late evening. Channel Catfish – Fair: Use nightcrawlers fished from shore. Walleye – Slow. Black Bullhead – Fair: Try nightcrawlers fished from shore. Bluegill – Slow: Bluegill are biting. Use a small piece of crawler and a bobber in 2 to 3 feet of water. Channel Catfish – Good: Use traditional baits in the evening. Black Crappie – Fair: Anglers report a panfish bite of bluegill and crappie from docks; sorting is needed. Walleye – Good: Report of anglers catching fish from the south end; best bite during the evening hours. Channel Catfish – Good: Use traditional baits during evening hours. Walleye – Fair: Action is picking up with numbers of angler acceptable size and larger being caught. Walleye – Good: Walleye are being caught close to shore. Try fishing from a dock or wader fishing after dark. Black Crappie – Good: Reports of crappie and yellow perch being caught. Yellow Bass – Fair: Report of yellow bass being caught. Use small lures such as a twister tail or hair jigs. Walleye – Fair: Report of large fish being caught during the late evening hours. Cast a white twister for the best action. Black Bullhead – Good: Good action reported of angler acceptable sized fish. Yellow Perch – Fair: Some activity reported. Marble Beach campground, including the boat ramp, is closed for the season for renovation. Smallmouth Bass – Good: Use a jig tipped with a minnow in shallow rock structures. Action is best during sunny, calm days. Black Crappie – Good: Fish the bulrush on the lake for spawning crappie. Cast a mini-jig and swim the bait slowly back to the boat to find active fish. Walleye – Good: Best action is during the night off the docks. Fish leeches under a bobber or cast a twister tail. Black Bullhead – Good: The bite has slowed at the north grade; persistence will be rewarded with good numbers of fish caught. Fish traditional baits on the bottom. Northern Pike – Fair: Use casting spoons below the spillway. 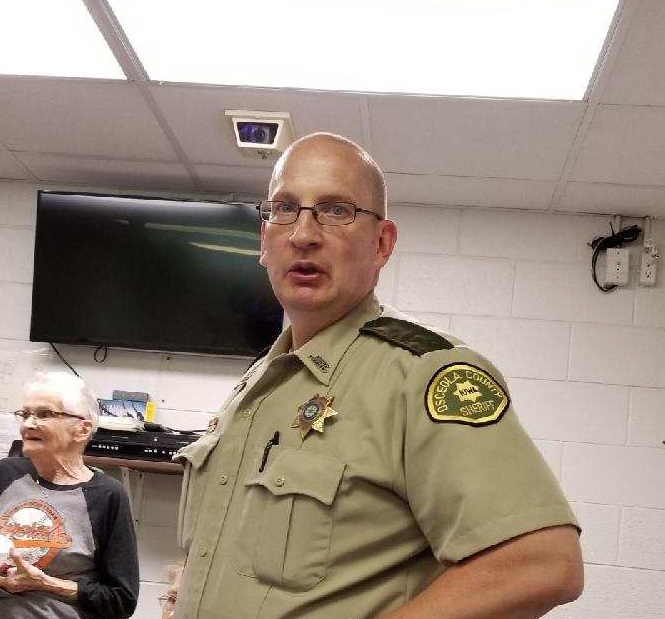 Sibley, Iowa — A surprise luncheon was held Thursday noon at the Osceola County Sheriff’s Office in Sibley, to honor the 30th anniversary of Chief Deputy Kevin Wollmuth’s employment at the Sheriff’s Office. Following the luncheon, Wollmuth sat down with KIWA’s Tom Traughber to reminisce a bit about his 30-year career with the Osceola County Sheriff’s Office. We asked Chief Deputy Wollmuth about the biggest changes he’s seen over the past 30-years. The two things he mentioned were technology, and the types of crimes the department deals with. We asked him what sparked his interest in a law enforcement career. Wollmuth had high praise for the people with whom he has worked over the past 30-years. The 51-year old Wollmuth stressed that the celebration was just for his 30th anniversary, and he has no plans for retirement any time soon. During the luncheon, Wollmuth reminisced about what he considers the strangest call he’s gotten in his 30-year career. He said it was the day when the dispatcher called him and sent him to check out the report of a boa constrictor slithering down a Sibley street. He responded to the call, even though he says he knew there were no boa constrictors in Sibley, Iowa. A few minutes later, Wollumth said he radioed the dispatcher and apologized for doubting her, after he had, indeed, located the boa constrictor. Sheldon, Iowa — A 3-run first inning helped the Orabs to win their softball conference opener 10-0 against Sibley-Ocheyedan Tuesday night in Sheldon. The Orabs put three on the board in the bottom of the first when Zoe Koerselman reached on a throwing error to first which drove in Nicole Meyer and Nicole Johnson. Koerselman came in later on a bases loaded walk to Mikayla Simonsen. After one, it was 3-0 Sheldon. The Orabs put another two runs on the board in the 4th for a comfortable 5-0 lead, and came away with the victory 10-0 after adding another five in the bottom of the 5th. Nicole Johnson got the victory, throwing the complete game shutout on just one hit. She struck out 6 in the contesty. Josey De Noble took the loss for the Generals. De Noble gave up just 4 hits and struck out 5. Sheldon improves to 1-1 on the year and 1-0 in the Siouxland. The Generals fall to 0-1 on the year and in the conference. Up next for the Orabs is a non-conference home contest against LeMars on Wednesday night. Sibley-Ocheyedan is back on the road Wednesday at George-Little Rock/Central Lyon. 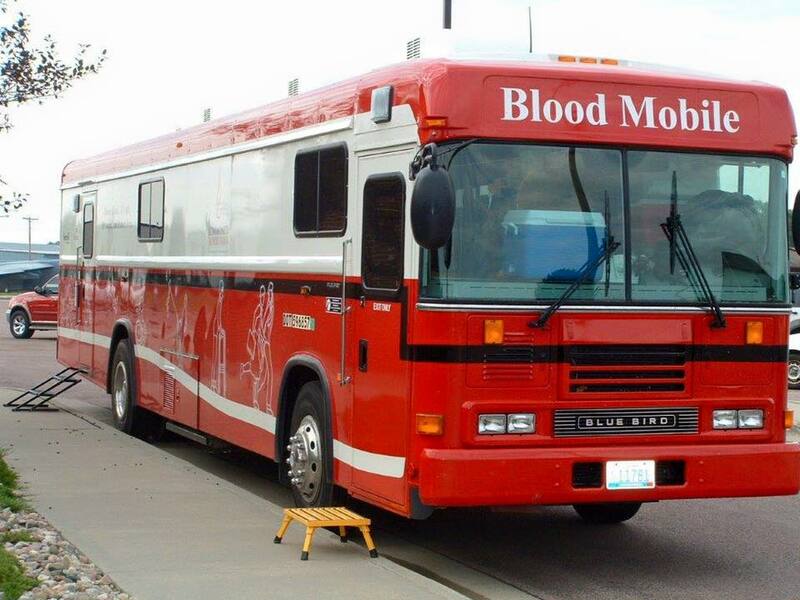 The Community Bloodbank Bloodmobile will be visiting Sibley tomorrow (Wednesday) at the Osceola Community Hospital. Community Blood Bank Executive Director Ken Versteeg says the Sibley visit is the blood bank’s big push heading into the Memorial Day holiday weekend. Versteeg says the Memorial Day holiday marks the first holiday of summer, and the demand for blood increases. He says most anyone can donate blood, but there are a few requirements to keep in mind. Versteeg added that you can only donate blood once every 56 days. He says donation is a simple process that doesn’t take up much of your time. You can drop in any time Wednesday from 10 am to 1 pm, and 2:30 to 5 pm, or if you’d prefer to call for an appointment you can all the Osceola Community Hospital Lab at 712-754-2574. The Community Blood Bank is the SOLE provider of blood and blood products to the Osceola Community Hospital, as well as most other hospitals in northwest Iowa. Sibley, Iowa — Three Osceola County organizations have received a part of a $1.6 million bequest by a pair of farming brothers from rural Sibley. Nick Schmalen, director of the Osceola County Conservation Board, tells us about what they received from the estate of George and Cecil Loof (pronounced “Loaf”). 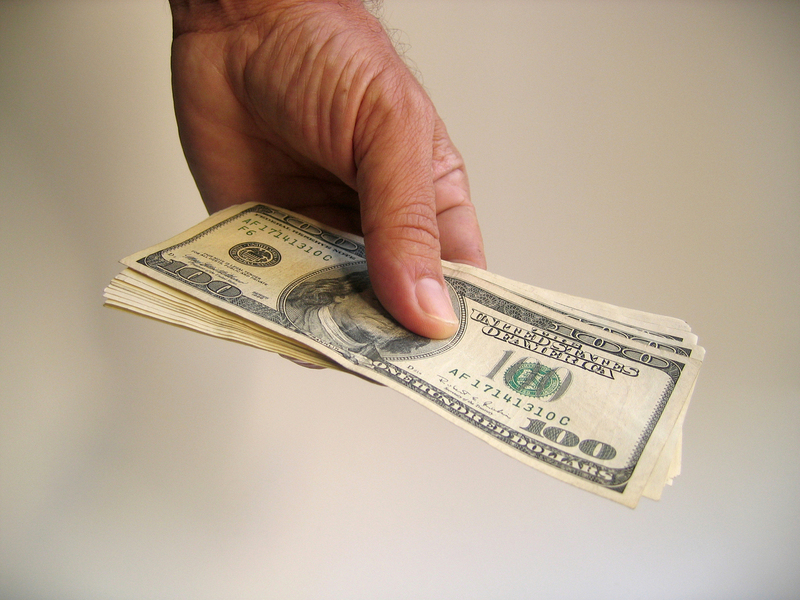 According to dollarsanddirt.com, the average price for farmland in Osceola County is $9,069 per acre. If it were to bring that price, the land would be worth over $2.1 million by itself. Schmalen tells us about the land. He says what the conservation board will do with the money is, for the most part, undetermined at this point. He tells us how the Conservation Board feels about the gift. Ben Davis, CEO of Osceola Community Hospital in Sibley says their facility received $656,000 from the Loof estate. Osceola Community Hospital Director of Marketing Becky Krogman says it has not yet been determined for what purpose or purposes the money will be used. She says the Osceola Community Hospital Board will make those decisions. A Sibley church was also given about $492,000 by the Loof estate. First Presbyterian Church leaders say the brothers were not members of the church.